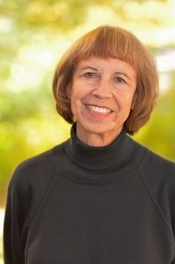 Mercedes Graf is a native of Chicago, Illinois, and she was formerly a professor of psychology at the Illinois School of Professional Psychology and Governors State University. She is now an independent scholar who resides in Highland Park, IL. Her articles on women medical workers, specifically nurses and physicians in American wars, have appeared in “Prologue” (the Quarterly of the National Archives), “Minerva Journal of Women and War,” the “Journal of Women’s Civil War History,” and the “Journal of Army History.” She has also published books on these women: “On the Field of Mercy: Women Medical Volunteers in the Civil War to World War I”; “Women Doctors in War (with coauthor Judith Bellafaire)”; “A Woman of Honor: Dr. Mary E. Walker and the Civil War”; and the introduction to “Hit: Essays on Women’s Rights” written by Mary E. Walker. 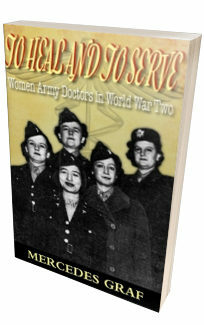 In this latest book, To Heal and to Serve, she discusses the role of women Army doctors in World War Two, an in-depth treatment that has not been previously undertaken in the literature.